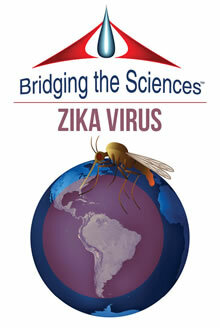 Bridging the Sciences: Zika Virus will take place at the Emory Conference Center May 1-3. Scientists from U.S., European and Brazilian academic research institutions, global health organizations, government agencies and the biotech industry will gather at the Emory Conference Center May 1-3 for “Bridging the Sciences: Zika Virus.” The international conference will assess current and emerging strategies to minimize the spread and impact of Zika virus infection. Participants will include scientists from Emory University, institutions in Brazil including University of Sao Paulo School of Medicine, Federal University of Rio de Janeiro, Universidade Federal de Minas Gerais, and Instituto Evandro Chagas; Scripps Research Institute; Institut Pasteur Center for Global Health, Paris; the Global Virus Network; University of Wisconsin-Madison; University of Miami; University of Texas Medical Branch, Galveston; Southern Research; University of Cincinnati; Atheric Pharmaceuticals; Vistera, Inc.; and GeoVax, Inc. The conference will provide opportunities for scientific collaboration and education for immunologists, epidemiologists, virologists, embryologists, obstetricians, nurses, and other professionals involved in the study and management of Zika virus infection. Plenary talks, panel discussions, and scientific abstracts will include epidemiology and global surveillance, clinical manifestations of Zika, current state of the epidemic in Brazil, diagnosis, immunology, routes of transmission, infection management and control, global ecology, global health ethics, virology, pathology, and drug development and repurposing. The conference is presented by an organizing committee of scientists from Emory and Brazil and by a scientific advisory board including representatives of the Global Virus Network (GVN) and University of Sao Paulo. The GVN was co-founded by renowned AIDS researcher Robert Gallo, MD, and has 35 scientific research centers in 26 countries. The GVN has launched a Zika Task Force led by Scott Weaver, PhD, scientific director of the Galveston National Laboratory in Texas, to connect researchers, coordinate exchange of scientific information worldwide, monitor the spread of Zika and provide guidance to help prevent future outbreaks. A forum open to the press and public will be held Tuesday, May 3 from 10 – 11 a.m. at the Emory Conference Center, Silver Bell Pavilion, including representatives from GVN and Emory. For a complete agenda, visit the website.